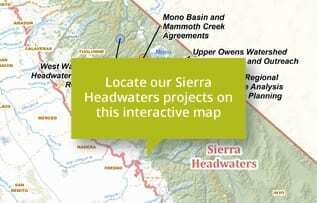 Upper Owens Watershed Enhancement and Outreach | California Trout, Inc. 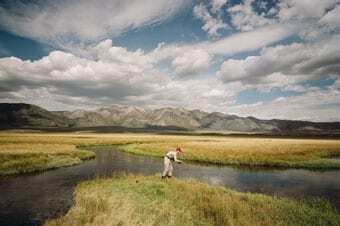 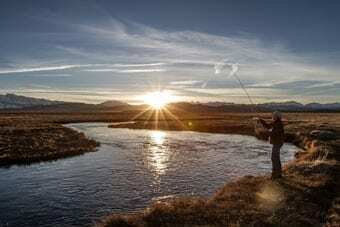 Restore the ecological health of the Upper Owens watershed and improve local angling opportunities in Mammoth and Hot Creeks and the Owens River. 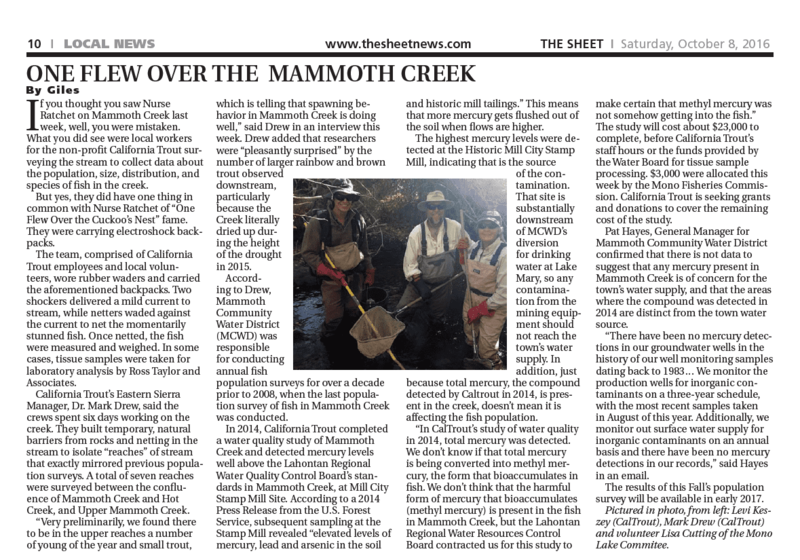 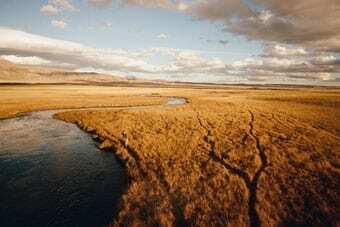 Implemented Mammoth Basin project to restore Sherwin meadow and Mammoth Creek corridor in partnership with Anhauser-Busch Foundation and the Inyo National Forest. 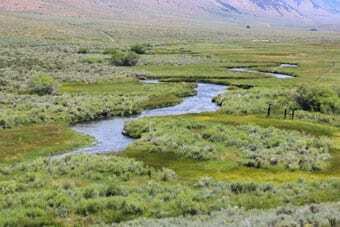 Complete a fishery population and condition assessment for Mammoth Creek.